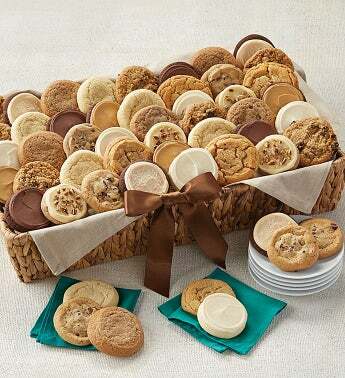 When the gift needs to be just right our cookie gift baskets are the perfect choice. 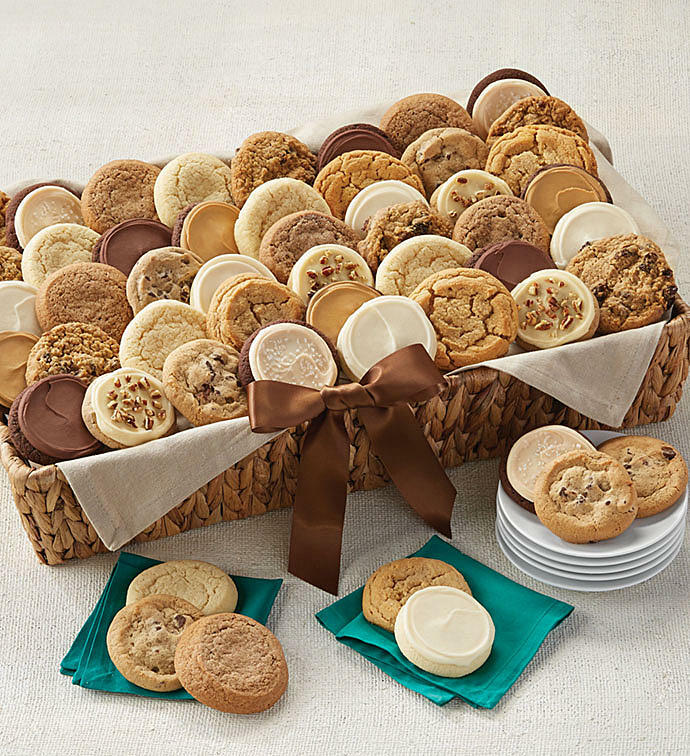 Our individually wrapped assortment incudes 10 different customer favorites like buttercream frosted butter pecan, chocolate chip, old fashioned sugar, snickerdoodle and triple chocolate frosted. A great gift for the office. Let us do the baking and order for you own party or event! OU D. Medium - 20, Large - 40, Grand - 52.